Sitting above the hustle and bustle of Sydney, Observatory Hill is a beautifully kept garden location providing exceptional north aspect views of the Sydney Harbour Bridge. There are 2 main locations to choose from for the wedding set up, either the Rotunda or the front grounds, generally near or under the large tree. 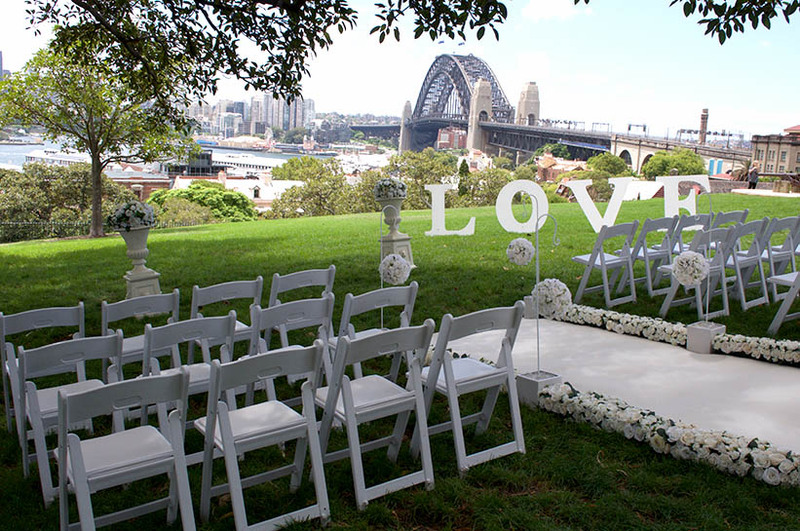 The Sydney Harbour Bridge is ideally positioned as a backdrop to any garden wedding ceremony. 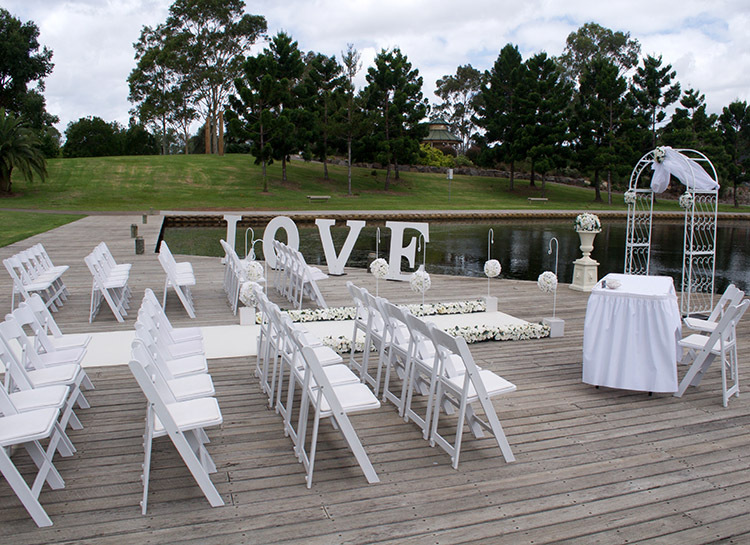 At Adorable Wedding Concepts we love being creative and bringing to life a bride and grooms dream wedding ceremony. 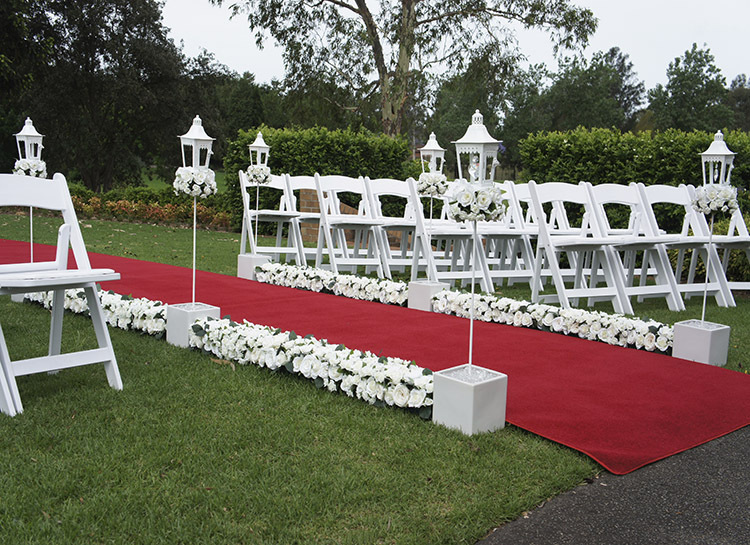 We not only offer package ceremony setups but customise weddings to meet the requirements of our brides and grooms. We’ve created everything from Parramatta themed to a black and orange wedding ceremony. 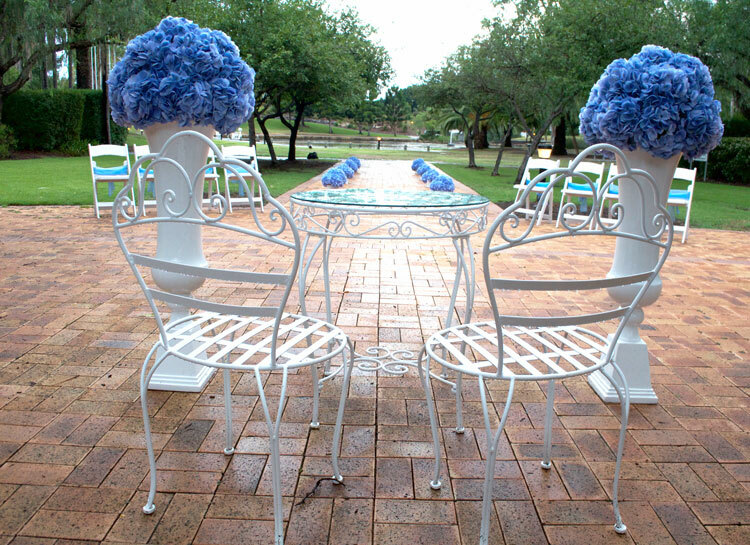 All looked fantastic and we’re completely custom designed specifically for the weddings. We have a huge range of wedding decoration hire items and we offer wedding ceremony packages pre-styled to help you with the planning of your wedding day. All our wedding packages can be customised by adding decorations or hire items to the ceremony setup. Access to the area is relatively easy for wedding vehicles however the wedding party will have to walk approx. 50m from the drop point to the either outdoor setting. There are no wet weather back up locations here although the Rotunda is undercover, if you have booked the front garden you’ll have to have confirmed with the City of Sydney Council about the availability.